MeCreator 2 is our new desktop 3D printer with half-opened and box-type design and 160x160x160mm building volume. It is optimized and improved based on the previous MeCreator, bringing MeCreator 2 with more exciting features. The control board and power supply unit are hidden in the bottom of the printer, compact and space efficient, providing stable support for printing as well as protection for you. 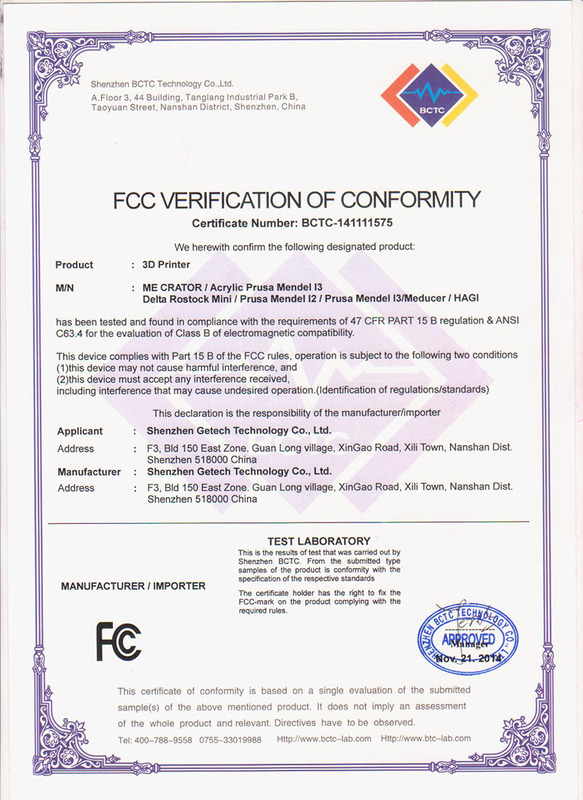 The upgraded hardware and optimized firmware bring you excellent printing effect. The printing precision is up to 0.05mm, and the positioning precision is up to 0.05mm for X/Y axis and 0.02mm for Z axis. Regarding to the printing material, MeCreator 2 supports various filaments including ABS, PLA, flexible PLA and wood-polymer. In addition, MeCreator 2 is equipped with LCD2004 controller, which enables stand-alone printing with SD card. Like MeCreator, MeCreator 2 will be delivered after assembly as well, which saves you from the trouble of assembling. Get a MeCreator 2 now, and welcome to the wonderful world of 3D printing! High-quality steel chasis makes the printer firm and durable, as well as attractive in appearance. The main board and power supply unit are installed in the bottom of the printer, safe and space efficient. And this structure lowers the gravity center of the printer, providing stable support for printing. The half-opened design of the printer provides you with enough protection, as well as various perspectives to observe the printing process. The control board is our self-developed GT2560B 3D printer control board which is powered by ATmega2560. With its 256KB Flash Memory and 16MHz operating frequency, GT2560B provides endless power for MeCreator 2 to achieve high-performance printing effect. MeCreator 2 comes with upgraded MK8 extruder whose feeding device uses double “V” design which can ensure stable and constant feeding. The heat-resisting PTFE tube inside the barrel ensures fluent feeding and helps avoid blocking problem thanks to its self-lubricity. The precise brass nozzle ensures accurate extrusion, realizing excellent printing effect. 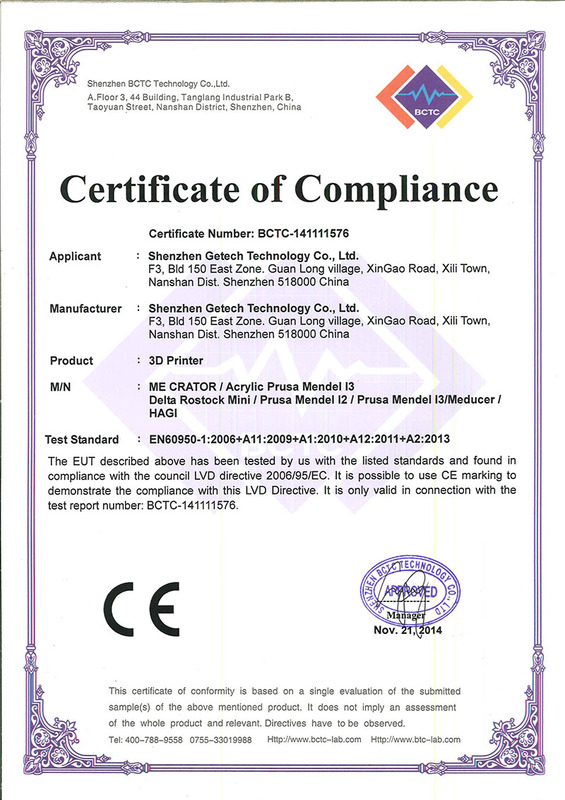 The printing platform is made up of high-quality aluminum alloy plate and superior heat bed, which can be heated up to 110℃, ensuring better adherence of filament, preventing the first layer from warping, providing better printing quality. The upgraded hardware and optimized firmware allowzhex MeCreator 2 to support various filaments including ABS, PLA, flexible PLA and wood-polymer filament. Giving you a wide range of choices for your different printing needs. Compared with the 150x150x125mm printing volume of Mecreator, the building area of Mecreator 2 is increased to 160x160x160mm. You can print more kinds of models of larger volume. MeCreator 2 supports most kinds of popular 3D printer control software including Repetier Host, Printrun and 3D Simplify, and it supports slicing software like Cura and Slic3r, whose intuitive UI design and simple operation bring you good user experience. You can easily use the printer well even you are a starter. 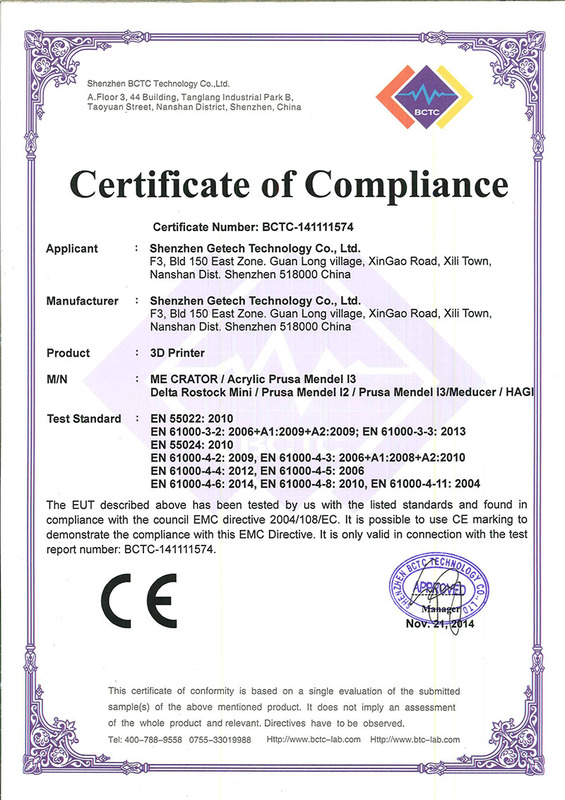 MeCreator 2 adopts LCD2004 controller, on which the detailed printing status are clearly presented on the screen. In addition, there is an SD card slot for LCD, with an SD card, MeCreator 2 can easily realize stand-alone printing. This allows you to print without connecting your MeCreator 2 to computer and helps you avoid possible printing interruption problem caused by the breakdown of computer system. Inside the printer there is a LED strip, which gives out blue light, bringing you a clear view of the model being printed even under insufficient lighting. What’ more exciting, you can control the LED light intensity by sending different code commands to satisfy your different needs. 3D printing technology can be applied to a wide range of fields including industrial manufacturing, designing, machine part manufacturing, modeling, building, arts and culture field, teaching, archaeology, toys producing and so on. Unleash your creativity and 3D printing will bring you endless surprises. 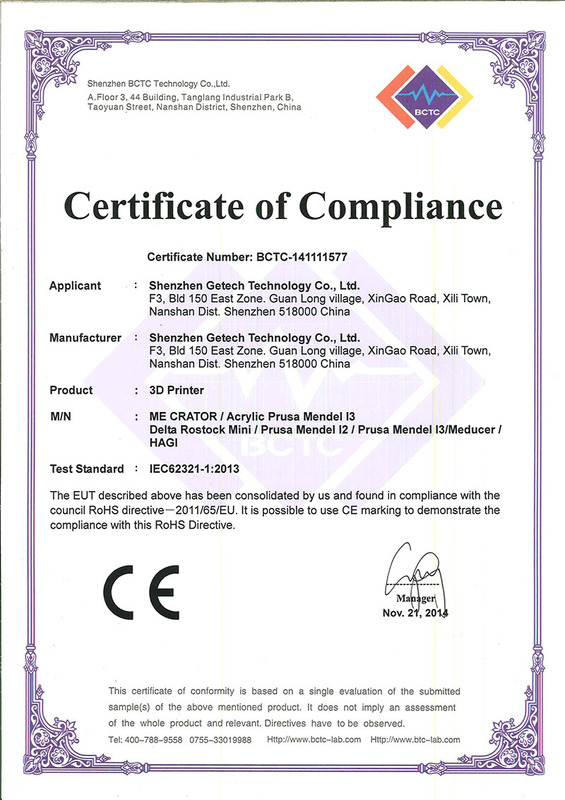 MeCreator 2 is assembled and tested by us before shipping. You can start printing right out of the box. 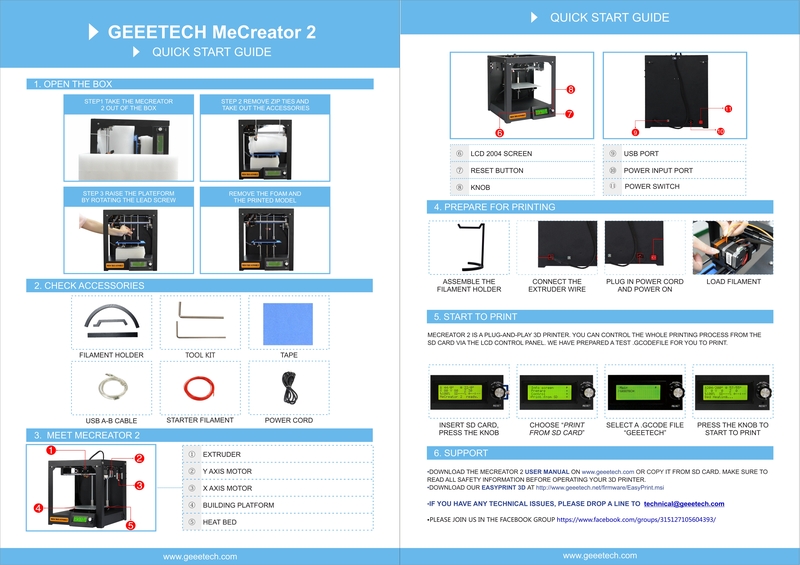 Compared with DIY 3D printer, MeCreator 2 saves you from troubles of assembling. MeCreator 2 is highly recommended to both starters and experienced users.